When you're searching for a minivan that can take you and your family wherever you need to go in Milton, don't look any further than the Chrysler Pacifica. It was made with safety in mind and is constructed of high-strength lightweight steel. The frame was designed to provide impact protection while still looking sleek and stylish. 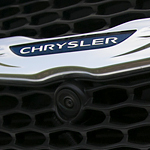 At Hunt Chrysler Dodge Jeep Ram Fiat, we can show you the extra features that will enhance your driving experience. The Chrysler Pacifica can come with HID headlamps and daytime running lights to improve your visibility in any lighting conditions. It also comes with a tri-plane sunroof to let in a large amount of ambient light and allow your passengers to have a great view. With hands-free sliding doors, you won't have to struggle to get your groceries loaded. All you'll have to do is kick below the sensor.